The newest entry in the Transformers franchise is beginning to shift into gear and along with a number of casting announcements, we learned that Josh Duhamel will be reprising his role from the original trilogy in the new movie, Transformers: The First Knight. Apparently, there was no wider memo circulated informing former cast members that returning was an option, as Tyrese Gibson is more than a little annoyed that he hasn’t received a call yet. He’s asked Michael Bay to cast him in the new film via video, and the director has responded. It sounds like it may happen. 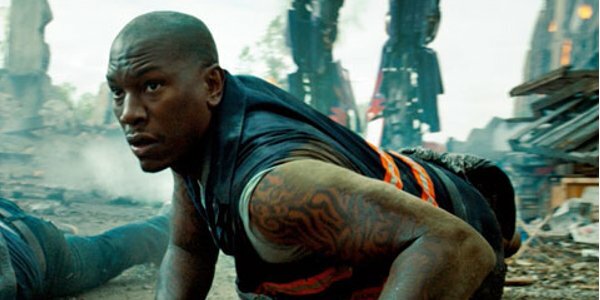 In the first three Transformers movies, Tyrese Gibson played Epps, a soldier, and the partner to Josh Duhamel’s Lennox. We can only imagine how Gibson feels learning that Duhamel is reprising his role, as even before that was announced, Gibson had started bugging Michael Bay via social media video to get him to bring Epps back for the fifth installment. Bay has now responded via Instagram with a cryptic, but at least somewhat reassuring, brief statement. While the response is vague, it’s probably a fairly good sign for Tyrese Gibson. If there was no chance in hell of Epps returning in Transformers: The First Knight, then Michael Bay probably would have left the video alone and not said anything publicly about it. If Bay is "thinking," then he must have some ideas about how to work Epps into the story. The fact that Josh Duhamel is returning is also a good sign, as if there’s a justifiable reason to bring one character back, it can’t be too much of a stretch to bring them both back. If anything can be said about Tyrese Gibson, it’s that the actor is never shy about asking for what he wants. He’s more than happy to tell the world that he wants a role in Transformers, the fact that he might not achieve the goal doesn’t disuade him. This is hardly the first time Gibson has done something like this. He’s run a very public campaign over the last several months in an attempt to get cast as John Stewart, the Green Lantern, as part of Warner Bros. DC Extended Universe, a campaign that appears to have at least successfully achieved a meeting to discuss it. Check out Tyrese’s pitch below. Would you like to see Epps return in Transformers: The First Knight? Let us know what you think in the comments below.